Aluminum Weave Fence Lattice looks beautiful from both sides. Special spring tempered alloy, protected with baked-on enamel finish, ensures you will enjoy easy maintenance living. Aluminum Weave Fence Lattice is installed diagonally over previously installed background picket to lock in place. By adding aluminum weave fence lattice to your chain link fence you will add privacy, beauty and you can also do it yourself. Aluminum Privacy Slats are an attractive way of adding class and privacy to your chain link fence. 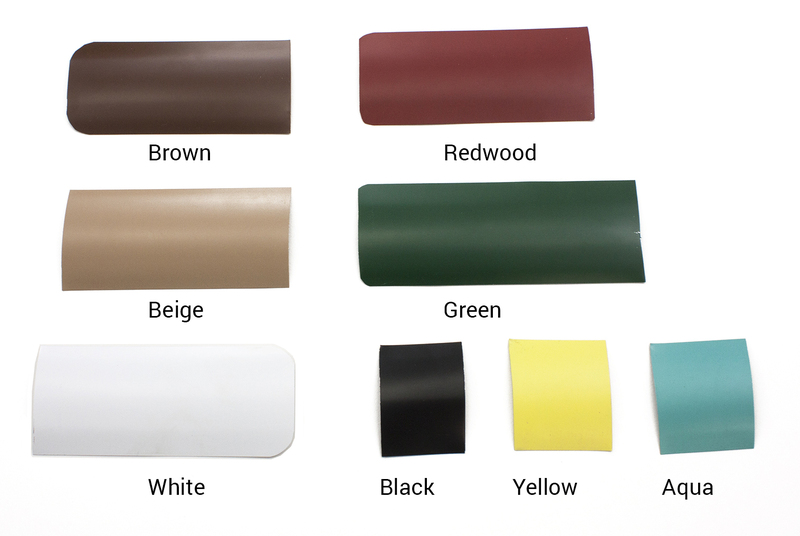 Aluminum slats come in a variety of colors and sizes, and are rust free. With a baked on enamel finish, you will enjoy the virtually maintenance free living. Please note: Before ordering, we recommend that you measure the height of your fence. We have had customers order the incorrect slat size, resulting in costly restocking fees. This is an issue that can be easily prevented by measuring for accuracy. Thank you! 50 pieces cover 10 linear feet. 100 pieces cover 20 linear feet. Pickets per 100' of fence. For 2" Mesh Slat Width 1-7/8"
*For orders of 5 bags or less, an additional $20 handling fee will be applied.